Shooter has launched its first Short Story Competition, with cash prizes and publication both in Shooter’s summer issue and online. Unlike regular submissions to the magazine, competition entries may be any theme or genre. Consequently writers are offered the chance to write about whatever they find most compelling, in any style, to any length up to 5,000 words. Shooter seeks imaginative, surprising, absorbing and beautifully written stories that bring characters to life and elicit an emotional response from the reader. In short, well written tales that appeal to both the head and the heart. In return for the £7 entry fee, ALL ENTRANTS will receive an e-copy of Shooter’s summer 2016 issue, which will feature the winning story. The winner of the 2016 Shooter Short Story Competition will receive £150, publication in the summer issue and on the website, and promotion on Shooter’s social media. The competition is open to entries through May 1, 2016. 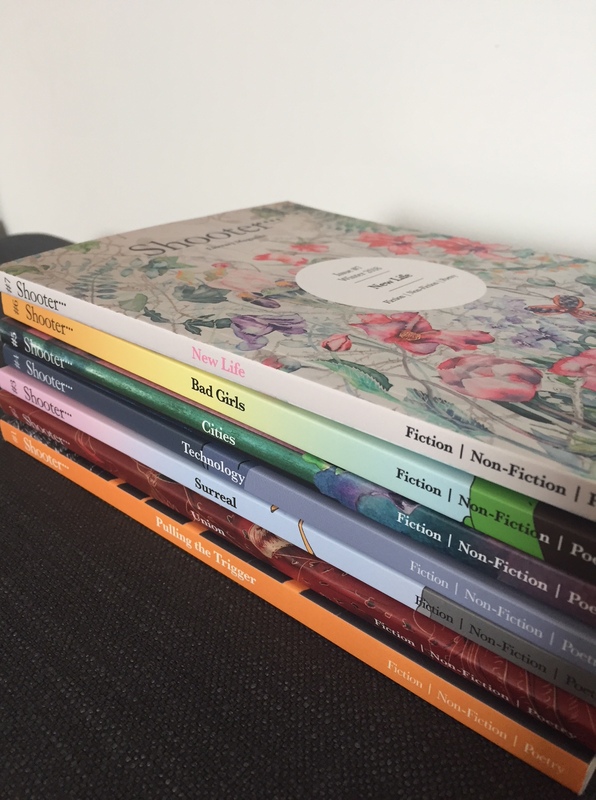 All proceeds from entry fees go toward prizes, contributor payments and Shooter’s production costs, supporting the magazine’s mission to promote the best new writing and encourage the principle of paying writers for their work. For guidelines on how to enter, please visit www.shooterlitmag.com/competition. Shooter will hold a poetry competition during the second half of the year, with the winning entry to be published in the winter issue. Details for poets will be announced in August 2016.